Lots going on, but is any of it any good? Archos is still going although it's not the household name it once was, but perhaps a new portfolio of products will help it claw back some customers. First up is the Platinum tablet range with the pick of the bunch being the Archos 97b Platinum HD which features a quad-core processor, aluminium body, full HD display and Android 4.2. Then there's the Archos 101xs2 (that name needs a bit of work) which once again packs a quad-core chip as well as front facing speakers and "unique" magnetic keyboard functionality. For the kids there are a couple of new tablets, with 8 and 10-inch screens, going by the names 80 ChildPad and 101 ChildPad. These sport a chunkier build and a child friendly interface complete with parental controls. Another market Archos is looking to target is tablet gamers with is GamePad 2 offering a mix of Android tablet and games console. 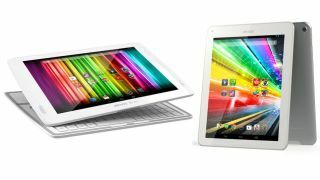 Archos also has three tablets lined up in its Xenon Range which all feature HD displays and 3G connectivity, and apparently they'll be cheaper than Samsung and Apple Wi-Fi tablets. When it comes to smartphones the firm's new flagship model is the Archos 50 Oxygen, with a 5-inch full HD display, 1.5GHz quad-core processor, 16GB of internal storage, 13MP rear camera, 5MP front camera and pure Android 4.2. That doesn't sound to shabby on paper, but we'll reserve proper judgement until we get our hands on it. Archos will be flaunting all its new products at IFA 2013 in Berlin next week and TechRadar will be there to bring you all the latest from the show.